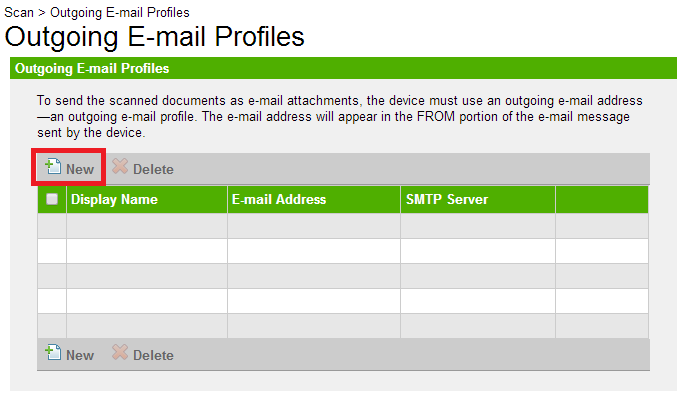 This post covers how to configure the HP Officejet 8600 to scan to email directly via Office 365. 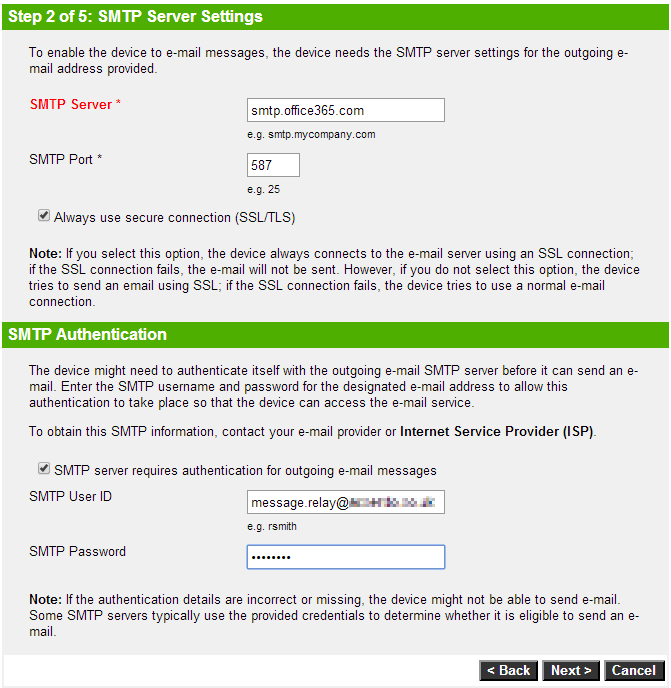 Generally speaking it is often easier to configure an IIS (or other SMTP) server to act as an internal relay for messaging through Office 365 for office based devices such as scanners and photocopiers, however, sometimes this is not practical, especially in small environments where there is no server. 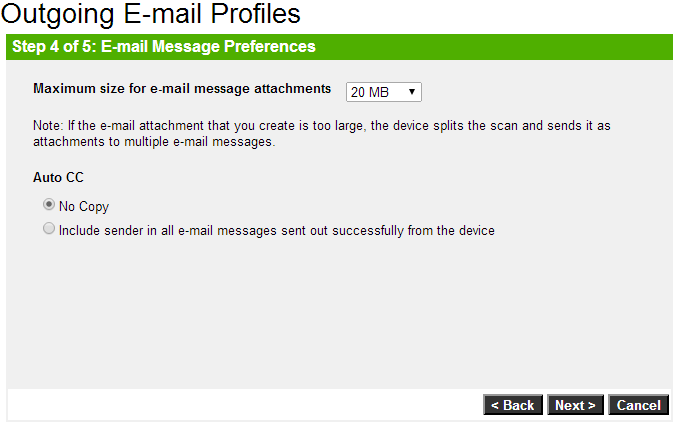 E-Mailing directly from the Officejet is easy to setup and takes only a couple of minutes to setup. From the main menu of the printer touch screen go into “Setup” and then “Network”, then go into “View Network Summary”, choose “View Wired” or “View Wireless” depending on how you have connected the printer to your network and the IP address will be displayed on the screen. Make a note of the IP address. Browse to to the IP address of your printer from a computer connected to the same network and you will be presented with the Officejet 8600 embedded web server administration system. Enter the email address of the account that you are going to be sending messages from. This has to be a valid Office 365 user in your tennat. As you can see I have created a dedicated account called “Message.Relay”, but any active account will work. 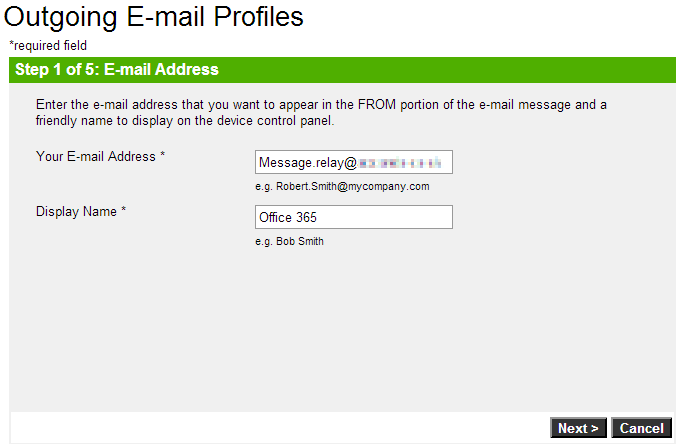 Enter a display name for the account, I have called mine “Office 365”. Enter the password for the Office 365 account you are going to use. Click next to move on to step 3 of 5. This screen offers you the chance to specify a pin to prevent unauthorized access to the email scanning function, I didn’t want or need to set this up so just pressed next. 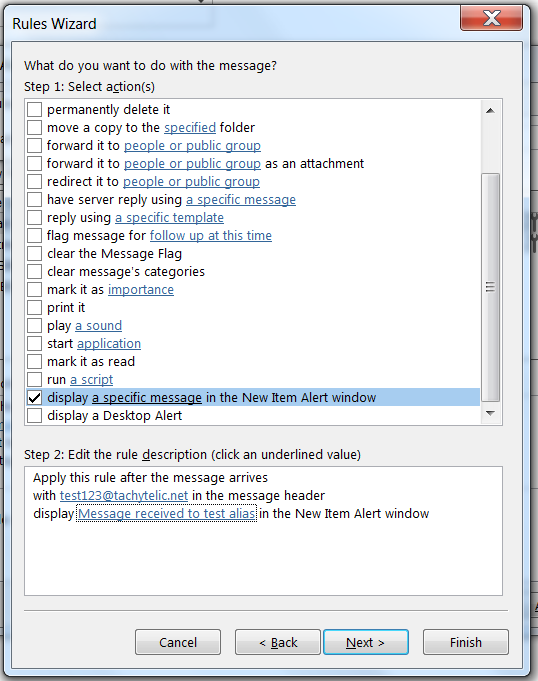 Step 4 of 5 asks you to specify a maximum message size and default CC options. As the default maximum message size in Office 365 is 25Mb I decided to set this to 20Mb so that there is a little bit of margin. I chose not to receive an automatic CC of the message. That’s it! 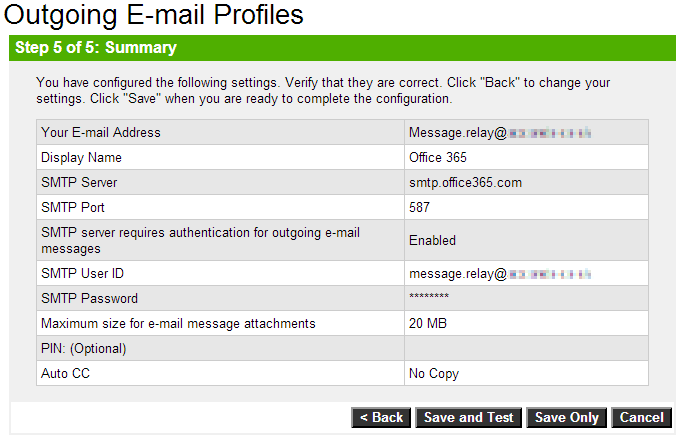 You can now scan to email directly from your Officejet Pro 8600 via Office 365. 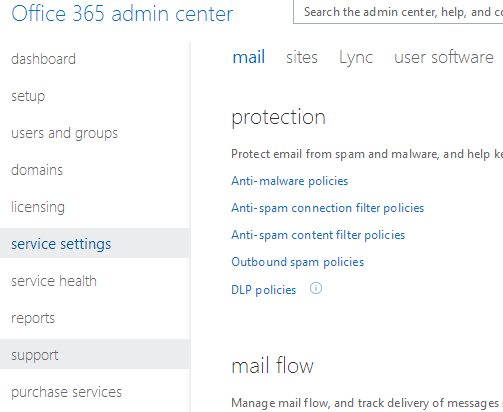 In an Office 365/Exchange environment it is possible to have many email aliases associated with your account and receive email on all of those addresses. However sometimes it can be useful to determine which of those email addresses was used when the message is received and this information is not presented by default. One way to achieve this is to use a transport rule on the message to modify the message in some way as to make the email address that the message was sent to easily identifiable. The first step in this process is to ensure the mailbox that you are going to be sending the message to has got an additional email address that you want to receive messages on. 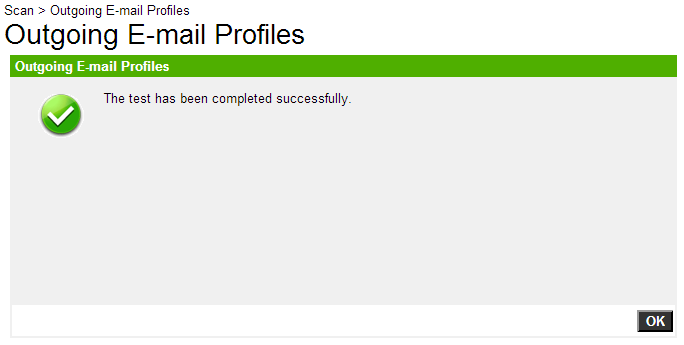 I used “[email protected]”. Once you have created the alias and ensured you can receive email on it we can create the transport rule which will enable us to identify when messages are sent to that address. 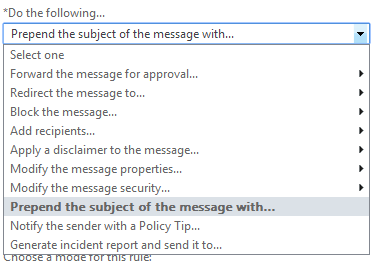 The next step is to create a transport rule to examine the message header so that the subject is modified to make the alias that the email was sent to easy to recognize. 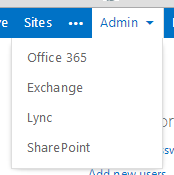 Login to your Office 365 Admin portal and go to Exchange administration. 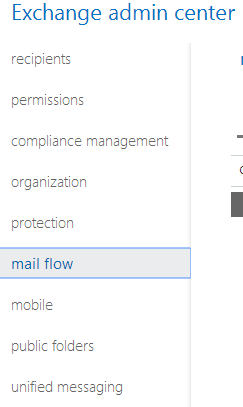 Go into the “Mail Flow” section. 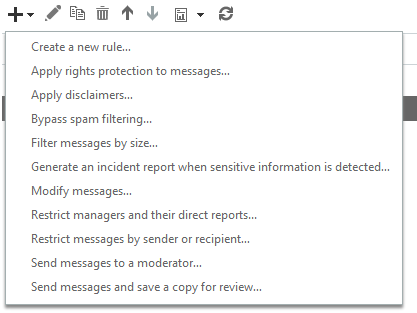 Click the add button and select the option to create a new rule. The new transport rule window will be displayed. 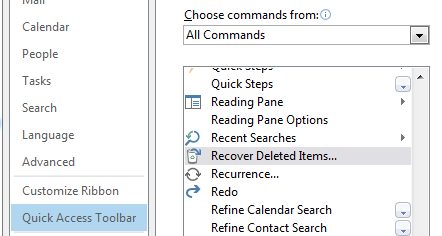 Click the “more options” link at the bottom of the window. 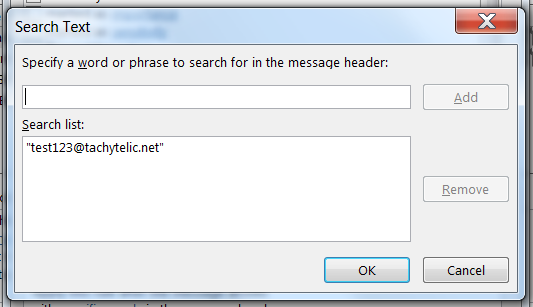 Click on the “Enter text…” link and and enter the word “to” (without brackets) in the specify header name field and click OK.
Click on “Enter text patterns…” and enter the email address for the messages that you are trying to identify and click the plus symbol to add it, then click “ok”. 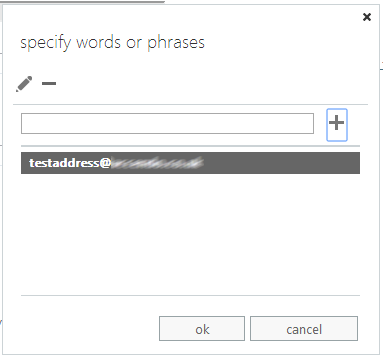 Enter the text that you would like prepend to the message subject line. e.g. 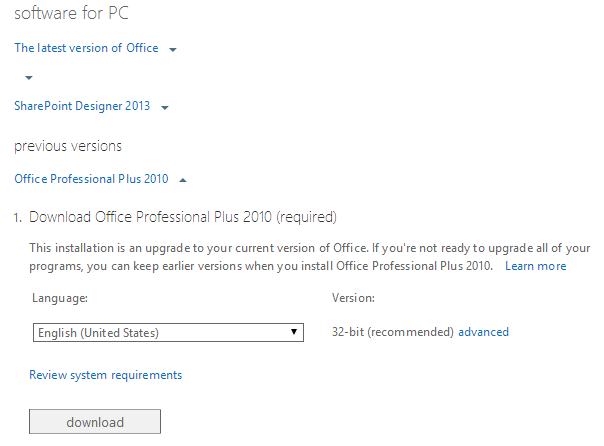 Add any additional conditions that you would like to apply and then click “ok”. Send an email to the address that you are trying to identify and you should see that the subject line has been amended to reflect your newly created rule. 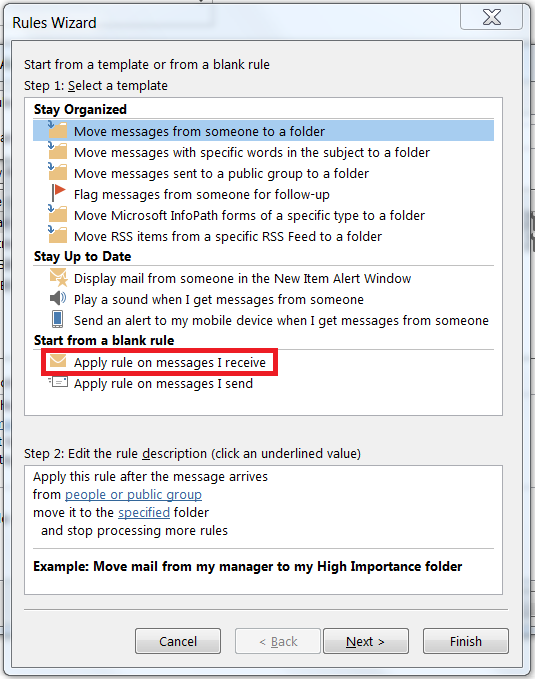 You may find that when you send an email to the specified address immediately after creating the rule that it is not applied. I found that I had to wait for a few minutes before it started working.